We're very sorry that you have a reason to join our EWP Private Support Group. We believe you will find it a safe and supportive place to help you cope with the disenfranchised grief of ending your wanted pregnancy. Our questions may seem somewhat intrusive. Rest assured that we ask all new members these questions in order to verify that they've undergone a pregnancy termination due to prenatal or maternal diagnosis. We do not share this information with anyone. Like you, every volunteer admin in our group has ended a wanted pregnancy. We value our privacy and yours. Once you have access to the private, secret Facebook group we ask that you introduce yourself there. How much information you choose to share in your introduction is up to you. Likewise, you have control over your own Facebook privacy settings. Please note that our private group has grown to over 1,200 members. If you don’t feel comfortable joining, introducing yourself, and participating in a large group, this may not be the right support group for you. 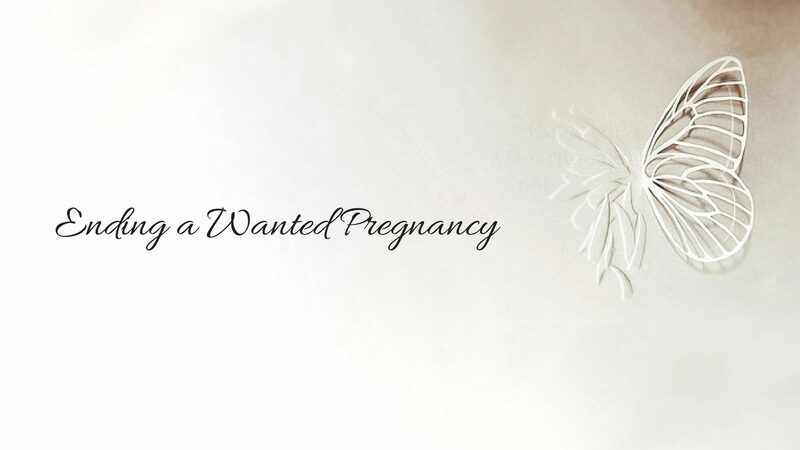 If you prefer to send us a direct email rather than fill out this online form, please include all of the information requested here and send it to info(at)endingawantedpregnancy.com. Your email will go through the same email path and end up in the inboxes of the same support as group admins who will receive your message through this form. Please read our support group rules before applying to join. I have read the support group rules. For faster service you may paste in the link to your Facebook profile below. Please note, we allow only active profiles in our group: empty, fake, "extra" or brand new profiles will be turned down for membership. This is for the safety and security of all group members. The group is private and secret, so your friends will not see that you are a member or see your activity there.